Place all vinaigrette ingredients in a jar with a tight fitting lid and shake vigorously until emulsified. 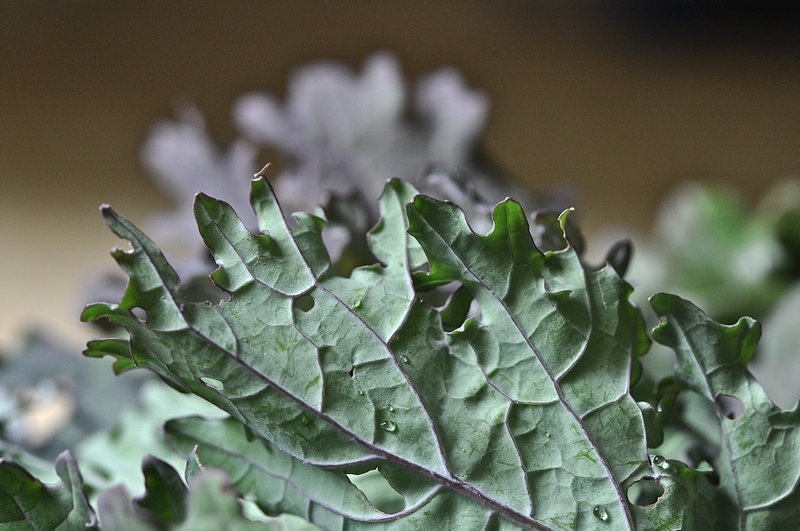 Add torn kale leaves to a large salad bowl. 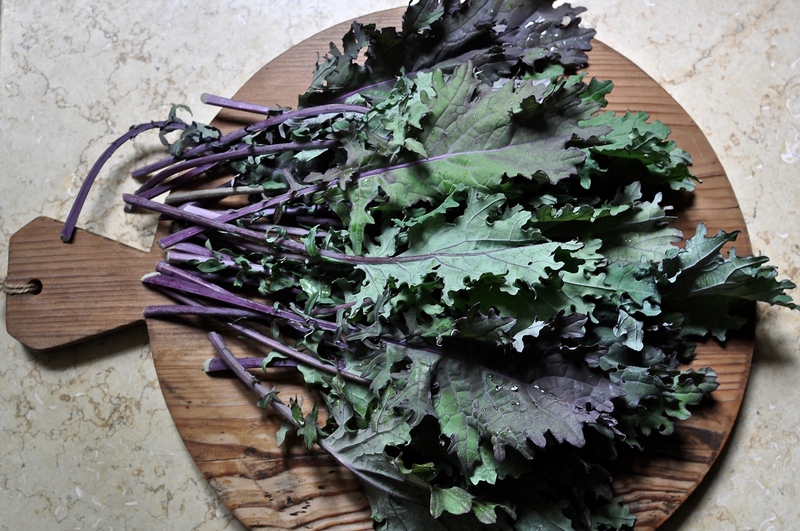 Pour 1 tablespoon of vinaigrette onto the kale leaves and massage with your hands for a minute or two until kale begins to soften (kale will wilt in a good way and lose its bitter edge). Add the sliced roasted bell pepper, chickpeas, and a tablespoon or two more of vinaigrette. Toss to coat. 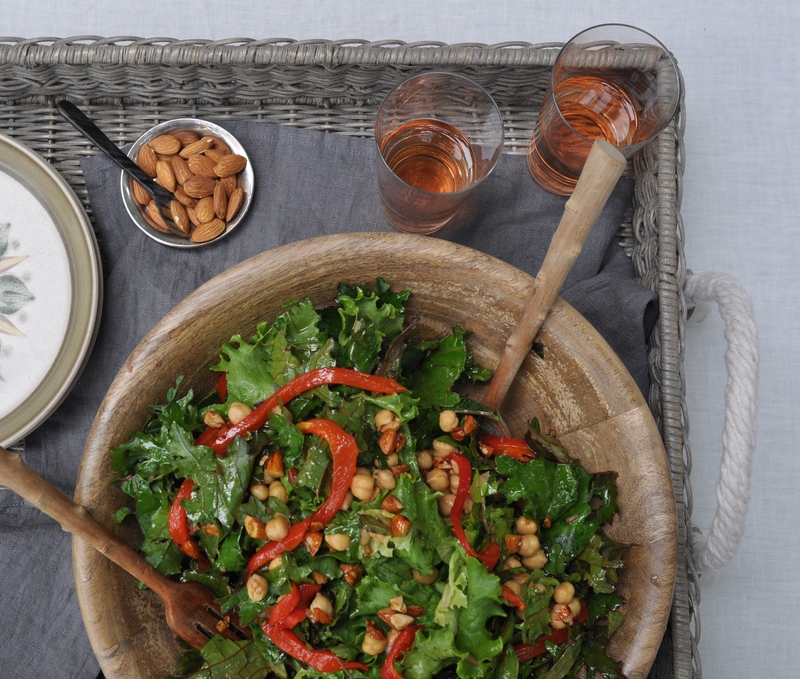 Divide salad among plates and sprinkle with honey roasted almonds. Pass extra vinaigrette at table. Whisk together honey, oil and salt in a small bowl. Add chopped almonds and stir to coat. 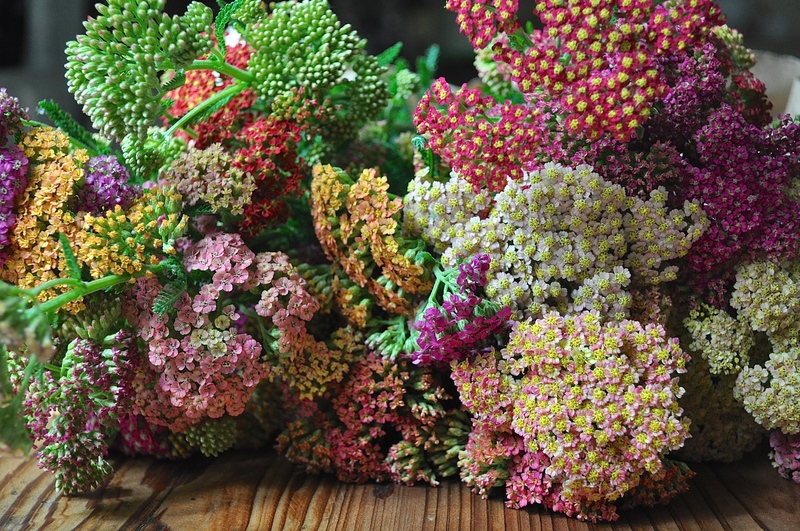 This cheery bouquet of yarrow also came home with me…how could I resist? 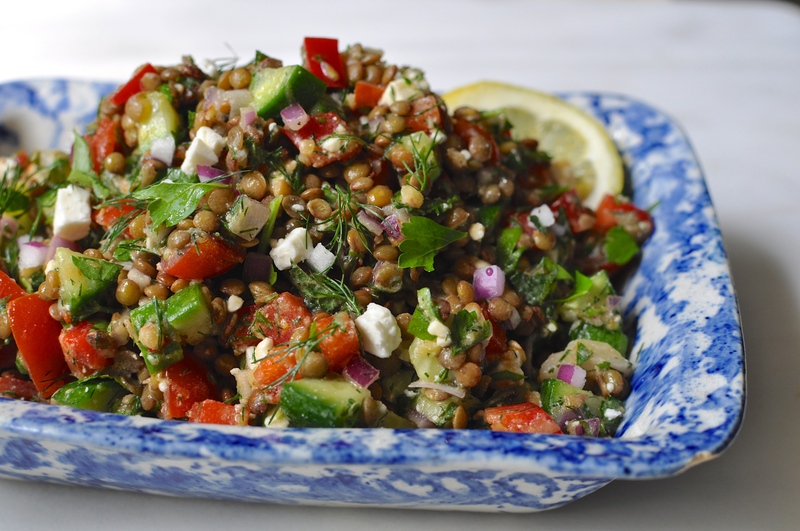 This Greek inspired lentil salad hits all the right notes – crunchy, creamy, light-yet-filling, and bursting with bright flavors. It’s a great take-along for a Memorial Day picnic, and though it stands alone as a vegetarian entree, it would be a fabulous accompaniment to anything from burgers to grilled chicken. 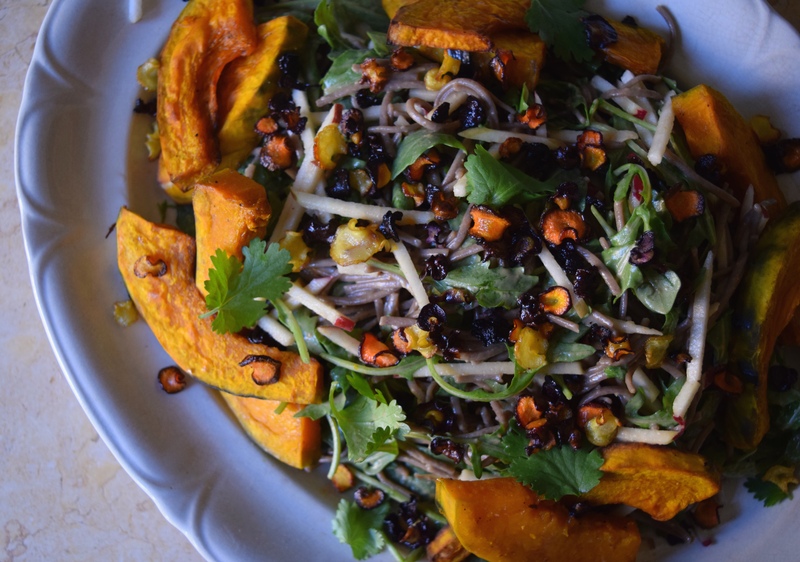 The lemony dressing will seem like too much at first, but the lentils will absorb it over time. French green lentils are worth seeking out – they have a wonderful nutty flavor and do not get mushy like other lentils. I also love French feta if you can find it – it is milder and creamier than other varieties. Bring a medium pot of water to a boil with one peeled garlic clove and a large pinch of salt. Add lentils and cook over medium-high heat until lentils are tender and cooked through, 18-20 minutes. Drain, then place in a large bowl. While lentils are cooking, make the dressing by whisking together the two minced garlic cloves, lemon zest, lemon juice, olive oil, oregano, crushed red pepper flakes, salt and pepper. Add dressing to the still-warm lentils. Allow to cool completely. While lentils are cooling, chop veggies, herbs and feta. After chopping the tomatoes and cucumbers, place in a colander lined with paper towels for at least 10 minutes to absorb excess liquid. Add all veggies and herbs to the cooled lentil mixture. Stir in feta last. Season to taste with salt and pepper. 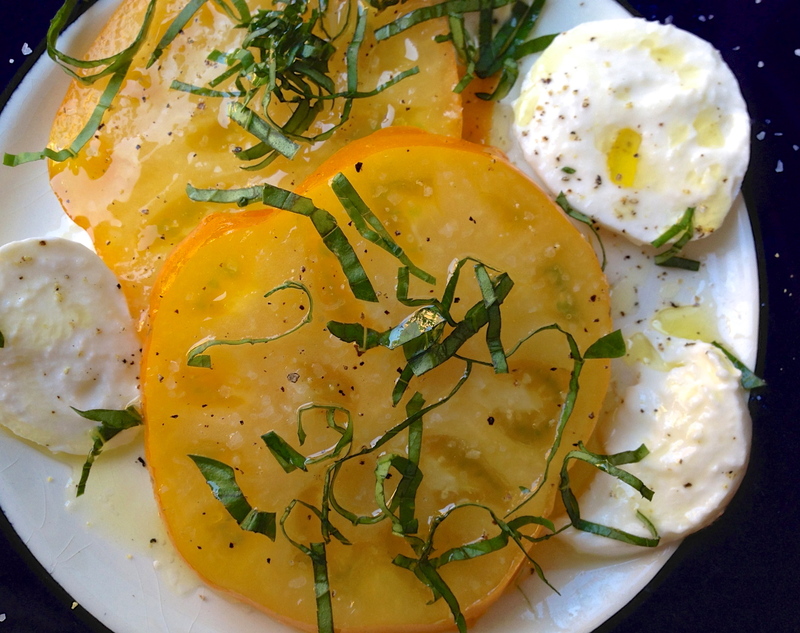 We picked the first giant, juicy yellow tomato from our garden last night and sliced it into a caprese salad while it was still warm from the sun. My daughter remarked, “Don’t you love the way your hands smell when you’ve just picked a tomato?” “One of life’s great pleasures,” I replied. This is barely a recipe it’s so simple! 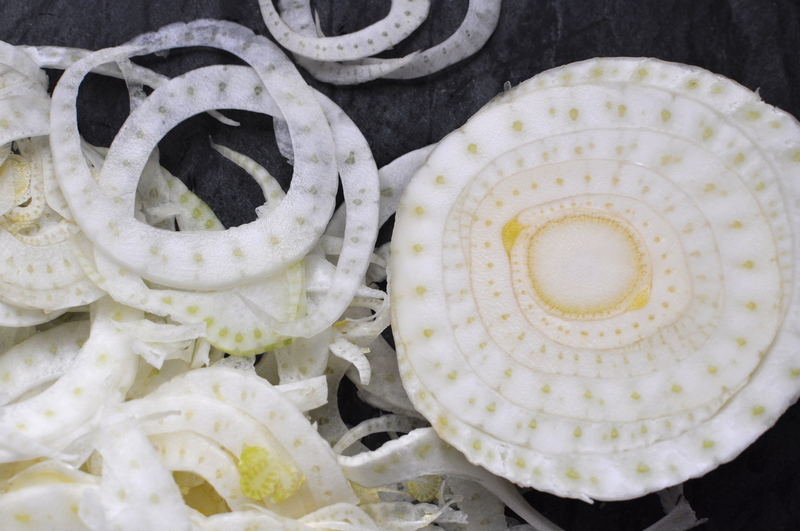 When ingredients are this fresh, almost nothing needs to be done. Here, the tomato’s sweet acidity is balanced by creamy fresh mozzarella then finished with fragrant, spicy, basil and a drizzle of best quality extra virgin olive oil. Divide tomatoes and mozzarella between two plates, drizzle each with a tablespoon of olive oil, top with basil. Sprinkle liberally with kosher or sea salt and freshly ground pepper. *Chiffonading basil: Stack several basil leaves on top of one another and roll lengthwise into a cigar. Slice across the roll to create thin ribbons. 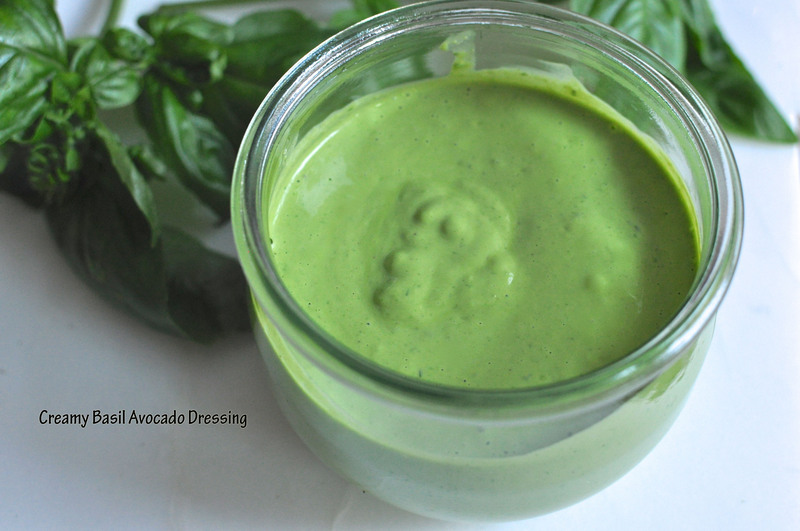 Place all ingredients in a blender and blend on high until dressing is smooth and creamy. A special thank you to my son who patiently taught me how to add text to photos. Extra allowance this week, Little Man! 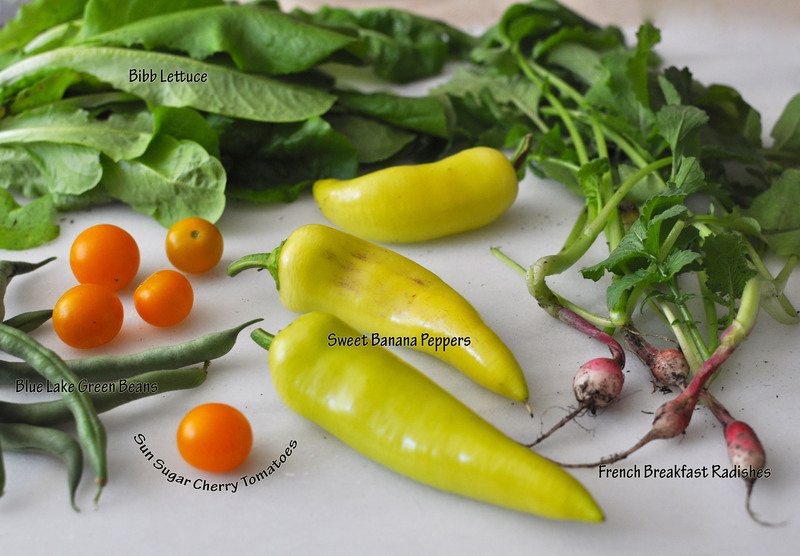 If you’ve been craving bright, fresh, seasonal ingredients that taste like Spring, I have the perfect salad for you. 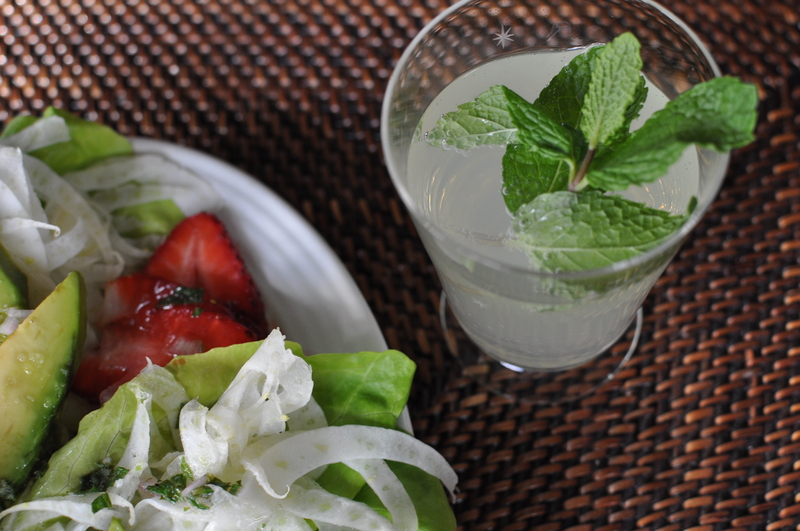 Sweet strawberries, creamy avocado and crisp shaved fennel are layered on delicate bibb lettuce leaves and dressed with a lime-ginger-mint vinaigrette. 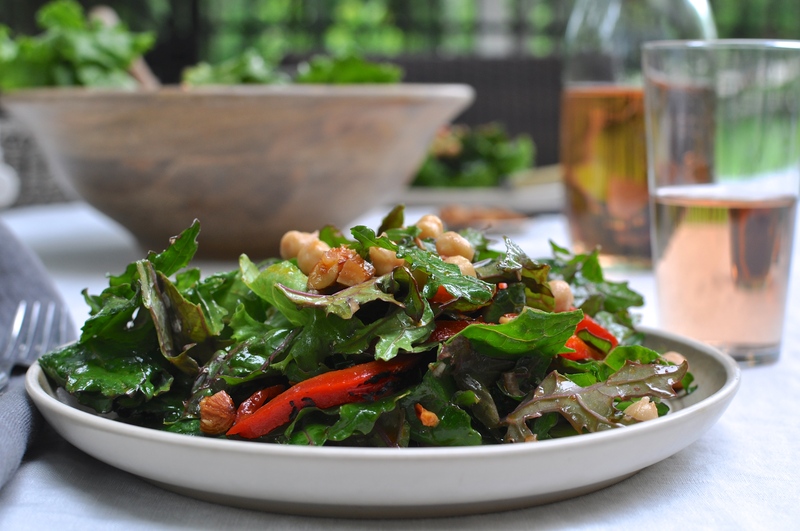 Finished with a drizzle of honey and a sprinkle of sea salt, this salad makes a light, satisfying lunch or delightful first course for a Spring inspired menu. 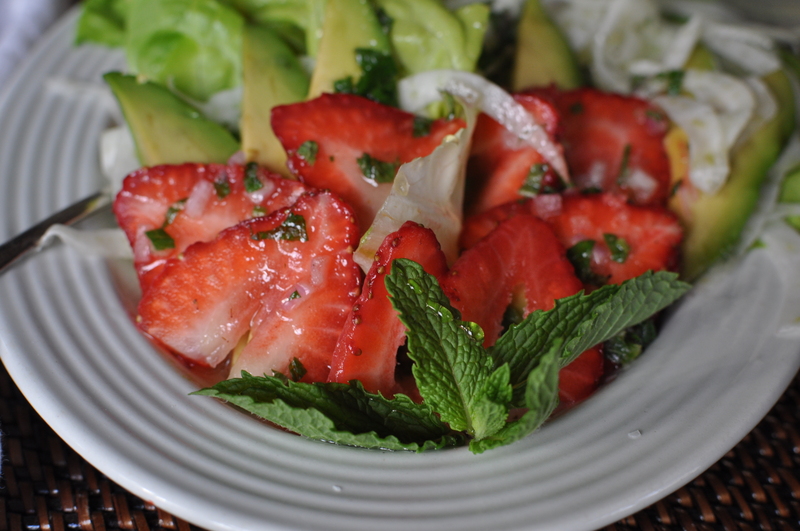 Whisk oil, lime juice, honey, ginger, shallot and mint together in a bowl. Season with salt and pepper to taste. 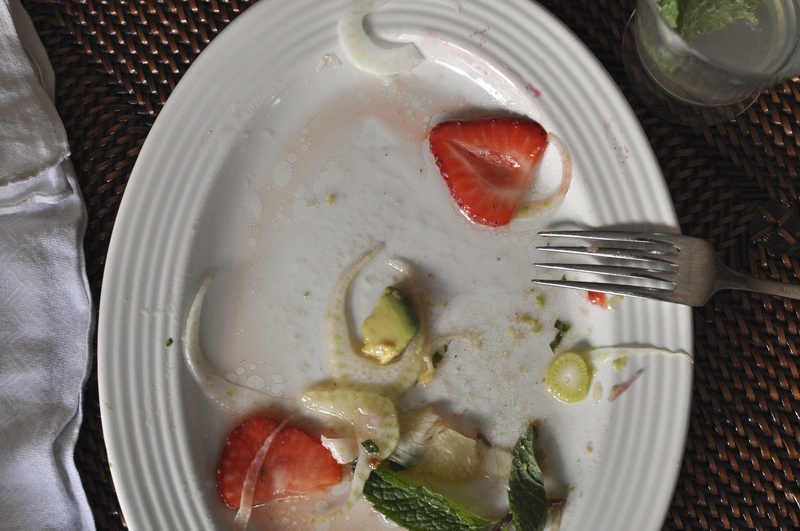 Layer fennel, strawberries and avocado on lettuce leaves on four plates and dress with vinaigrette. Drizzle each salad with honey and sprinkle with a bit of sea salt. Garnish with fresh mint.